Let me give this a crack. You say “It’s been an interesting year or so for public transport.” In fact its been an appalling year for all concerned. The Regional Council let the side down badly – execution was just simply poor on so many fronts. 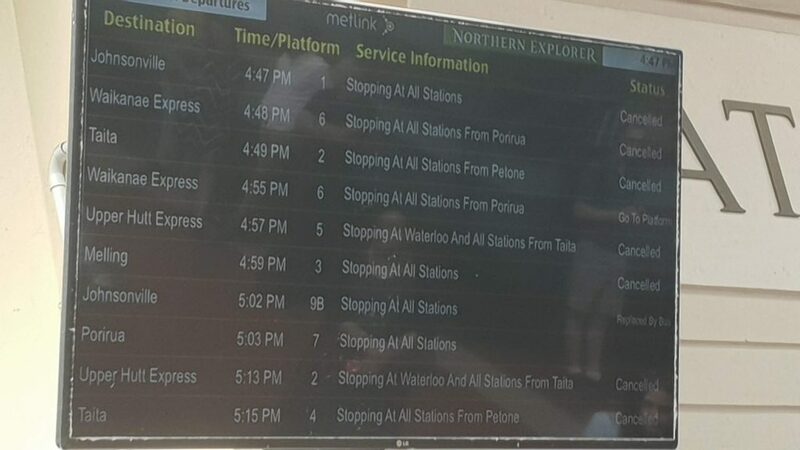 Some of these issues were outside of the Council’s immediate control, but at the end of the day the buck has to stop with the Council / Metlink. The bus network has improved quite significantly since the initial problems – but is still far from perfect. There are still capacity issues on some routes, bus bunching still occurs – albeit less often, provision of the right sized buses by one company is an ongoing issue – though less severe than it was at the outset, and hubbing is still not working as best it should. The blue lights were removed – remember those? The Real Time Information System has improved out of sight – only for some gremlins to revisit us last week and this week. Given the problems that eventuated the new fares package (off peak discounts, free fare transfers, student fares etc) have hardly got a mention, but nevertheless seems to have been well received (or used). I suggest that attitudes have changed. For example, people are now more acutely aware of who the convenor of bus services – Metlink – is – in large part because they have had cause to complain, and some people have the 0800 number on speed dial – though again the number of complaints has dropped dramatically and we are now largely back into the realm of queries. The GWRC undertakes a six monthly survey of users experience on the buses – the results of the November survey (to be released shortly) will show a decline in satisfaction of the Wellington City bus network. Hoping that the May survey will show satisfaction results moving north again, but it is going to take time to rebuild confidence. Despite this it seems that Wellingtonians are hardy souls – and even when approx. 5% of transferring passengers is taken into account, the number of bus users is holding up well in comparison to that same time last year. There is still much work to do – including a review later this year of the new Wellington City bus routes. To date, through motions to the Council, I and other Wellington based regional councillors have managed to get a number of routes extended of reinstated – No 14 from Hataitai to Kilbirnie, Zoo Service, Vogeltown direct service – and we are pushing for changes on the Miramar Peninsula, where Strathmore and Miramar North need attention, as well as other changes across the City. With respect to the cancellation of rail services – the issue is simple – lack of train drivers – and it takes approximately 9 months to train a train driver. This is an issue facing the sector as a whole, but disappointed that the operator didn’t see this coming – should have acted quicker to avert this situation. Im new ish to Wellington – living here for the first time in a decade, and I was wondering what work/pressure was going through other agencies in this to make the new network work? Northern suburbs transport priority is worse than a decade ago, and now with major and very bus routes running full length of thorndon Quay and hutt Road, before going through the city, bunching occurs badly in this area (routes 1, 19e, 60e and Newlands), and travel time is unreliable. I was wondering why, with 11 general traffic lanes north of the city we couldn’t manage a peak direction bus lane from harbour gateway to jarden mile? Would improve speed and service time a lot – making 10 ish routes more attractive, save gwrc money by reducing journey time and allowing more services for same resource (busses, drivers). Surely Nzta and Wcc can be brought to the party to improve the network by improving things like this? Obviously just one area, but rather than focusing all the attention on the hubs and the operators, would be good to improve the network to make it actually work. First of all, I want to say how much I appreciate your willingness to front up on these issues, Daran – an attitude not all your colleagues have shared! Second, as well as the matters you’ve covered here, it would be good to get another update on progress with re-electrifying the fleet. This is an issue of vital concern to me, both because of urgent need to reduce our transport greenhouse gas emissions and because, as a pedestrian, those choking clouds of diesel fumes from our current bus fleet have got to go. 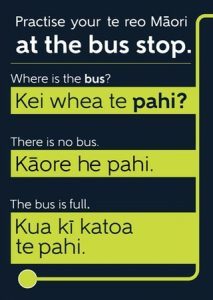 The short answer is that negotiations between GWRC and NZ Bus are continuing. c) battery warranty periods – for some reason the battery warranties could be less for a retrofitted vehicle (e.g. the trolleys) than for a brand new electric bus – not immediately an issue, but could become an issue if we experience failures in say 6 years time. Bottom line is that irrespective of whether we repurpose the trolleys or buy brand new electric buses, we (the ratepayer) will pay a premium for electric buses – so really what GWRC is trying to do is understand how NZ Bus have calculated that premium, where the pencil needs to be sharpened, and whether the price can be justified. Ultimately I am pretty sure we will make a decision for 50 electric buses – but at this stage it’s a line call on whether these will be repurposed trolleys or brand new electrics. If the decision is made for trolleys then they could start rolling within 6 months of agreement. New electrics is approx. 2 years – reason – we are looking for triple axle buses (i.e. very large buses) which will need to be designed from scratch (i.e. while there are more than 400,000 electric buses in China they are only double axle). On the Transit front the double decker electrics are performing very well. Nine buses are operating approx. 6 hours a days and the first pantograph fitted bus is working 18 hours a day seven days a week, with charging at Reef St. I have started discussions within the Regional Council to bring the next tranche (10) of double deckers forward, possibly with a bigger order. Thanks again for this reply, Daran! This is the clearest statement I’ve seen of where things are at on electric buses, and what the issues and options are. I’ll be encouraging friends working on reducing emissions from Wellington transport to take a look at this. Call them pantograph buses all you like. They are trolley buses and I’m glad they’re back. Useful article, and useful comment from Cr Daran Ponter, who has been excellent in fronting up – the changes to the network since July have certainly improved it overall, and the fare changes in July were undoubtedly a success. The overall network design has certainly improved. But the same can’t be said about how well the network is performing. In terms of reliability (whether a bus actually runs), on average the ten busiest routes are consistently running below GW’s target – they’ve reached that target in only two weeks since November (and then only just). Punctuality (a bus leaving its origin less than one minute early or five minutes late – there is no published measure of timeliness en route) is also below target, in fact the worst it has been since data started being produced in November. It’s good to hear that bus bunching is occurring less often, but anecdotally it’s still common – GWRC has produced no relevant data, so there’s no way to check. Similarly patronage holding up well in comparison with last year is good news, but there’s no decent comparative information available to support this. It’s also good that a review of the network is planned, but the best-designed network in the world is of little use if it’s not meeting its operating targets. It’s about time that the (very real) warts and all were exposed and attended to. Until that happens, the chances of a significant move north in customer confidence are slim: it’s hard to have confidence in an organisation that keeps on telling us that things are getting better when its published operational data – often supported by experience at the bus stop – show that things are, at best, getting no better. Moving on to trains, the information vacuum is actually worse. There’s been no punctuality information published since November (which shows below-target performance), and no reliability or current patronage information at all. So how is the network performing? Apart from passenger anecdotes and news reports, we just don’t know – and that’s just not good enough. GWRC’s systems must produce shedloads of valuable operational information, and it’s about time it opened up that information – or at least decent analysis of it – so that we, as owners, users and ultimately funders of the system, know what is actually going on. Yes we do Isabella. But that quickly becomes clouded by other contractual commitments that are required / desired for commercial contracts. We will get to an open source environment for transport data – it’s just going to take a bit of navigating to get there. Thanks for your quick answers. Whatever happens in the end, you’re running rings around your fellows for hard-working attitude in all this. And being seen to!